Anthony Tedeschi was born and raised in Southern New Jersey. His love for the water began at a young age aboard his father’s charter boat operation in Atlantic City, NJ. At age 15, Anthony’s parents gave him a birthday gift of scuba diving lessons. From that day on, he has been exploring shipwrecks and underwater caves. 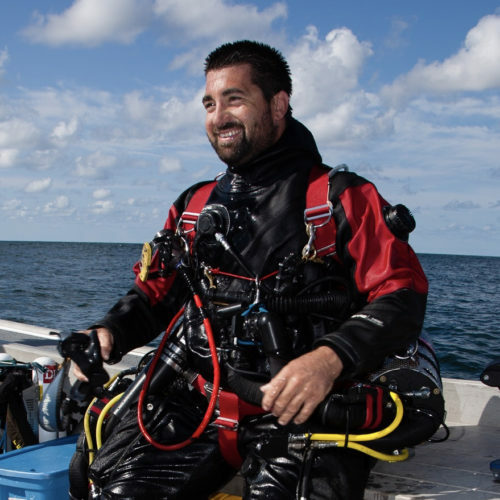 Anthony completed his Masters’ Degree in Ocean Engineering at Florida Institute of Technology (2010) and continued to go on to Commercial Dive School. 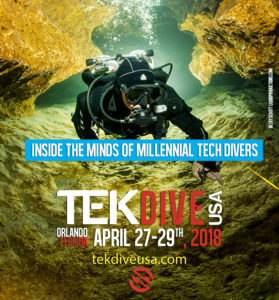 Currently, he is a Project Manager and Dive Supervisor for an engineering consulting company on the East Coast and in his free time continues to explore new shipwrecks and underwater caves. Some of the projects Anthony has been a part of are: Weeki Wachee Springs Exploration (2009), Discovery of the German Submarine U-550 (2012), Discovery of the USS Pan Pennsylvania (2013), Giant Cave Exploration (2015) and Belize’s Cara Blanca Expedition (2015).